Bhubaneswar: Chief Minister Naveen Patnaik on Monday felicitated four Odia girls in the national women’s hockey team and two in the men’s hockey team for their success in the recently concluded 18th Asian Games. 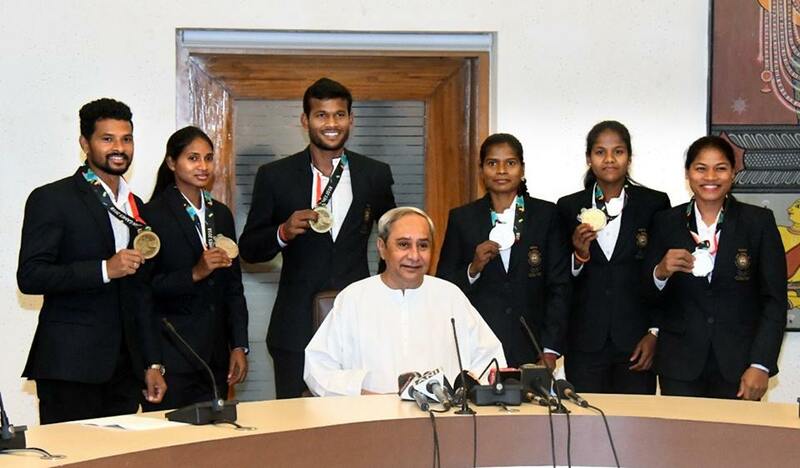 CM Naveen Patnaik handed over cash reward of Rs 1 crore each to four Odia woman hockey team players for clinching silver in the Asian games, at the secretariat here. 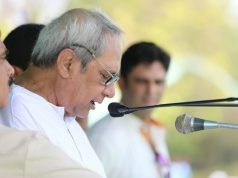 CM Naveen Patnaik also presented Rs 50 lakh each to two men’s hockey team players who bagged bronze in the Asiad. On the occasion, Patnaik congratulated the hockey players for their remarkable success in the Asian Games and said they have made India as well as Odisha proud. 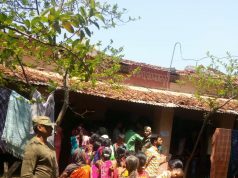 The CM promised that the state government would provide necessary help to them in future. 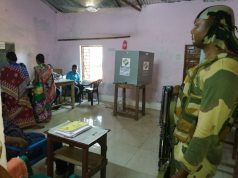 The Odia women hockey players who received Rs 1 crore cash rewards are Sunita Lakra, Namita Toppo, Lilima Minz and Deep Grace Ekka. Similarly, Odia men’s hockey players- Birendra Lakra and Amit Rohidas received Rs 50 lakh each in recognition of their achievement in the Asian Games. 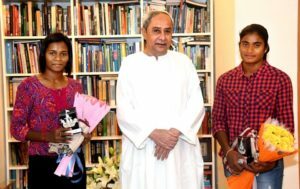 Similarly CM Naveen Patnaik also felicitated and announced award of ₹7.5 lakh each for #\Odia women athletes, Jauna Murmu and Purnima Hembram for their participation and gritty performance in #AsianGames2018.